We need to #AskDuceyWhy he and other Republican leaders aren’t doing more to keep teachers from leaving Arizona. Headlines proclaim teachers are “fleeing” the state “in droves.” This could lead to a shortage of experienced teachers. It appears that teacher pay is part of our crisis. The Phoenix Business Journal reported last month that Arizona spends the least amount of money on teacher pay in the country, and Arizona is also at or near the bottom of national lists for classroom instruction spending, per pupil spending and school administration spending. 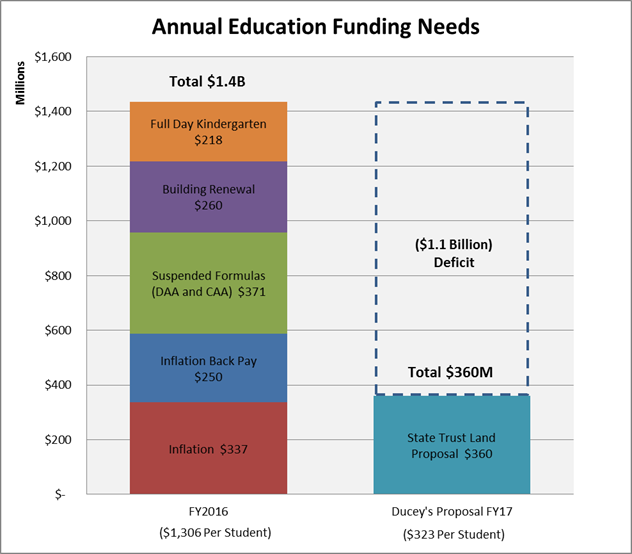 The ongoing cuts to education funding have already taken a toll that goes beyond teachers leaving the state. 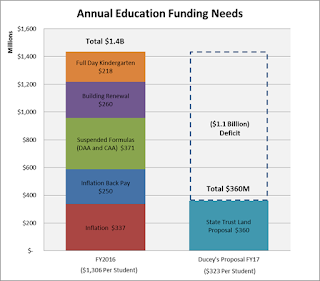 If the Republicans continue to neglect funding for education, what might Arizonans expect to see? Lower test scores – “The more money invested, the higher the test scores,” said ASU Morrison Institute for Public Policy Senior Policy Analyst Dan Huntington. Increase in classroom sizes - a former Phoenix Elementary School District governing board member said in a recent interview that the state budget cuts meant schools had to increase their classroom sizes and freeze teacher compensation. Student safety impacted – some schools could have to scale back facilities maintenance, security guards and shared nurses. With so much at stake, why aren’t Republican leaders investing more in education now? We can’t afford to wait.